There’s nothing more satisfying than eating dessert at the end of the night, especially at a wedding. 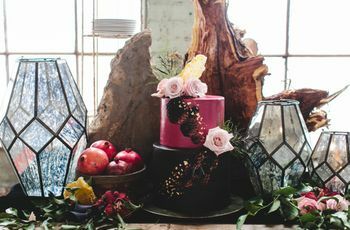 In case you were wondering how to shop for your wedding cake, then read this ultimate cheat sheet. It will provide answers to all the questions you may not have thought of before or after you book your cake baker. 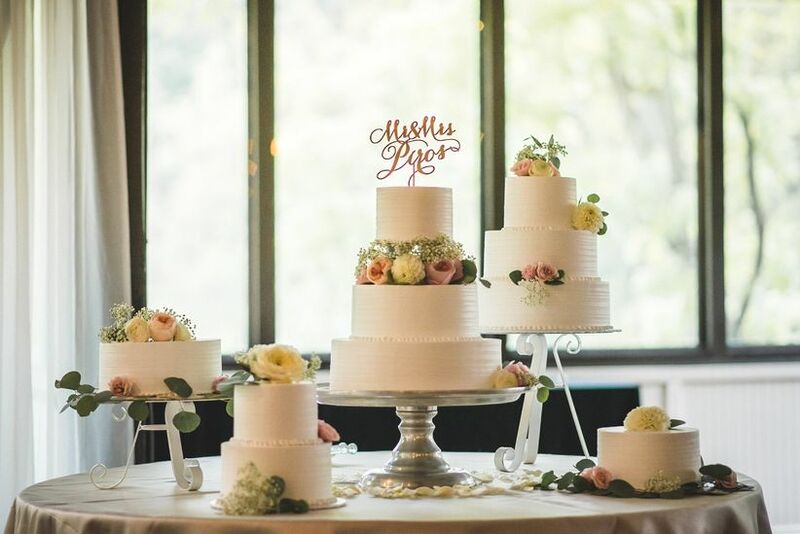 Everything you need to know about shopping for a wedding cake! When should I start looking for cake inspiration? At least six months before your wedding, start thinking about how you want your wedding cake to look. 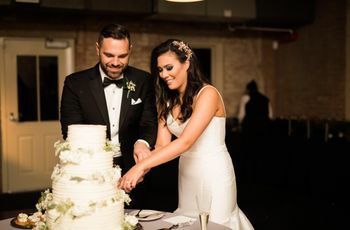 Your safest bet is browsing through WeddingWire’s wedding cake photo galleries or our Pinterest boards. More than likely, your cake baker will want you to come to your first meeting prepared with pictures of cakes you like. When should I make my cake tasting appointment? At least three months before your wedding. Eat a light breakfast or lunch before your tasting so you'll have room to try slices—you'll be trying lots of different options! Also remember that most of the time, you'll have to pay a small deposit for your cake tasting, which can usually applied towards your contract. How should I decide on a cake style? 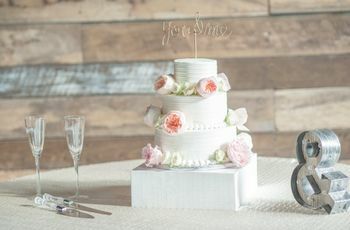 How does my wedding season affect my cake selection? Depending on what time of year you are getting married, you will want to find out if the wedding cake will be placed in a covered or uncovered area. Think: if it’s in the middle of summer with the sun beating down, your wedding cake’s frosting will melt. Be sure that there is enough room for it to be stored in your venue’s walk-in refrigerator. Which flavor, filling, and frosting do I prefer? We have asked cake bakers from across the country what their favorite flavor combinations are, but you shouldn't feel restricted to these specifics! Most cake bakers can accommodate whatever you like. Perhaps, you love Oreos or Reese’s Peanut Butter Cups—use your favorite sweets to inspire you. How many guests will I have to serve? Everyone, obviously! The more tiers on your wedding cake, the more amount of people you can feed. Tip: it’s okay to have extras such as cake pops, cupcakes, and candies. Those can serve double-duty as wedding favors. Will I have to pay for a delivery fee? Unless you plan to pick up your own wedding cake, you should expect a delivery fee. What do I have to purchase or rent? Cake table: Either a square, circular, or rectangle table, or piece of vintage furniture will do. Cake table linens: Adorn your cake table with a linen that stands out from your reception dinner tables. Dessert plates: Check to see if dessert plates and/or forks are included in your contract. Cocktail napkins: Get creative with your cocktail napkins! 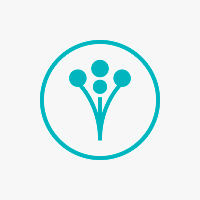 Add fun facts about your relationship or favorite quotes and sayings. Cake stands, platters, and trays: Choose cake stands, platters, and trays at differing heights. Cake topper: Top your wedding cake with something traditional or nontraditional. Serving set: After all, you will need to cut and serve the wedding cake with it. Favor bags and to-go boxes: In case you have leftovers, have favor bags and to-go boxes for those that want a tasty treat for later.